This article details the Leaping Butterfly mission. Would it take a million dollars? Would it be fame? Media attention? What would it really take? Chances are most of you have never thought about it because just the thought is enough to make you want to pass out with fear. Me included. But, three brave souls let go of the sides of the airplane door and chose to Leap for the Retreat on August 4, 2018. Why? Well, it may have been on Sherry Cortes’ bucket list, but it sure wasn’t on Ricardo’s. 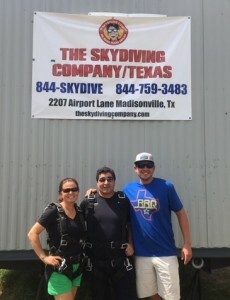 And, the third participant was my son, Kyle, who chose to leap for two reasons; to honor his sister, Kellie’s, 39th birthday and to raise funds for scholarships for the inaugural Chrysalis Retreat, which is the reason Sherry and Ricardo chose to jump also. In fact, the whole idea was Sherry’s. And once Ricardo safely glided to the ground he announced, “Let’s do it again!” The event raised $1,650.00, which provides 5 more retreat scholarships to add to the current balance of 18. 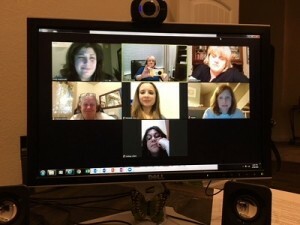 Gearing up for the retreat actually began with the inaugural online Bible study in Spring of 2018 called All Things New that was then followed by a second study in the summer entitled Uninvited. Both were exceptional studies with one leading us to understand the transformational power offered to Believers to walk in a newest of life and the summer relating to situations in our lives which have left us feeling totally left out and rejected. 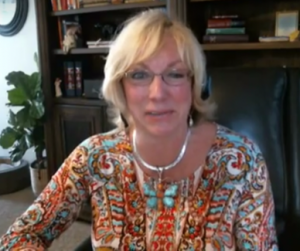 Leaping Butterfly Ministry now offers access to both recorded studies. Anyone can now purchase a workbook and join Mama Bee online at anytime that is convenient. These studies will encourage your walk with Christ and help you to not journey it all alone. LBM is committed to help you understand and apply God’s Word in your everyday life. His Word is our daily bread and should be taken into our hearts every day. A new fall study will be announced soon. LBM believes we are made of three parts, known as the triune; mind, body, and spirit. They are equal to godly living and abundant life. Often, we read self-help books and spend hours strategizing best practices for living a happy life and we spend hours and a small fortune making sure our bodies are cute and healthy by keeping our doctor’s appointments, etc. But, the part of us which is easily forgotten or placed on the back burner is that of our spirits. If this is the kind of pace you’ve been keeping then the Chrysalis Retreat is just for you to take time to renew your spirit. 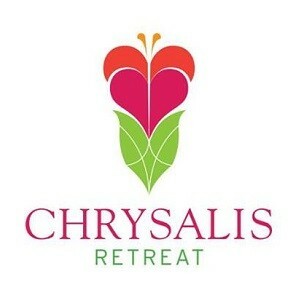 The inaugural retreat is set for April 5-7th, 2019 in the Houston area and it is going to be filled with fun, rest, nature, loving relationships, information, crafts, inspirational speakers, incredible music, laughs, tears, singing, celebrations and a whole lot more. Please begin to search for your travel arrangements. Make sure you fly in and out of Bush International Airport, better know with the airport code of IAH – International Airport of Houston, not Hobby. Registration forms are coming out soon and applications will be accepted for scholarships. 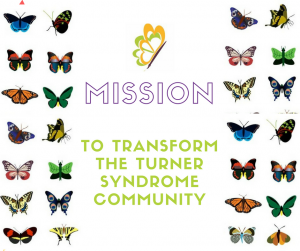 This weekend will be for TS women, their husbands, and Turner syndrome moms and dads. Grandparents are welcome, too.